Anyone wishing to charter a private jet flight to Tulsa would do well to consider Charter Flight Group. With over 30 years experience shuttling private jet charter flights, CFG has become a world leader in the charter flight industry. We accept on-demand flights, gladly arrange one-ways, and often can find great savings for the corporate or vacationing traveler to Tulsa via an empty leg flight. With one of the largest selections of private charter fleets in the world, we will have the right aircraft for you at the right time. For instance, if your business takes you to Tulsa, Oklahoma for a quick trip luncheon with a client, Charter Flight Group has several private aircraft to fit your needs. If you prefer a single or double-engine turboprop for a quick jump into Tulsa, we will gladly arrange the flight. If you need a jet, anything from a small Cessna to a jumbo jet is available for private air charter. CFG has developed a strong reputation for quality, service, and safety because we not only exceed FAA requirements, but also contract with Wyvern and ARG/US to ensure that every jet, every flight crew, and every ground crew is on top of maintaining the enormous fleet of jets and turboprop planes: We like them in pristine condition, as good as the day we made the purchase. As a result, CFG private air passengers arrive on time and well rested for their business. In addition, so as to ensure that nothing is left to chance when it comes to our private charter clients, we only use and retains the most professional and proficient flight crews available. We want your business for life and we mean business. Private charters flights into local airports are dependant of a few considerations. For instance, if the aircraft you choose is a turboprop or a light jet, then the choices of landings are many. If you choose a larger jet, the options become rather limited. 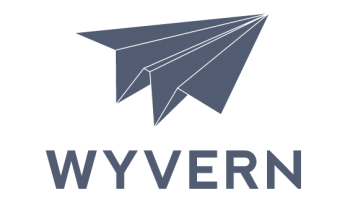 For instance, many private charter guests like to fly into Harvey Young Airport for it is located very near to I-44 on the east side of the city and is fairly quiet and quick service-wise. However, the runways at Harvey Young are somewhat thin, which means that during the summer months when the region is quite hot, heavier aircraft are unable to land. An alternate that some choose is Richard Lloyd, Jr. Airport situated very near to Tulsa on the south side along I-244, the Red Fork Expressway. This is a very suitable airport for it has become the major relief airport for Tulsa International and is used for considerable charter and corporate jet traffic. Of course, one can always have their private charter jet flight enter Tulsa International which offers indoor valet parking for the busy traveler who seeks to avoid the hot summers or cold winters of Tulsa. 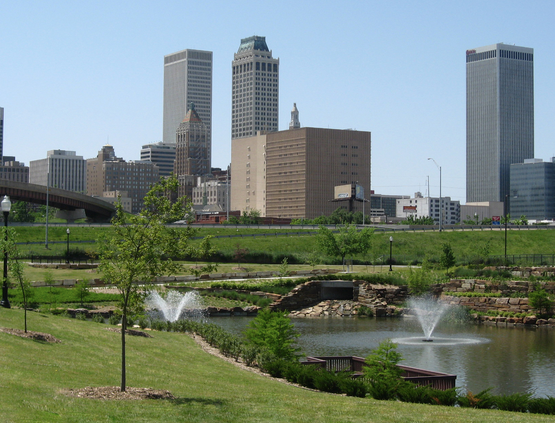 Tulsa, Oklahoma has much to offer private charter travelers whether the flight is for business or for pleasure. If your private jet brings you there for a vacation, whether with the family or not, there are no shortage of things to do. Some of the highlights include, the Philbrook Museum of Art, Cain’s Ballroom, and BOK Center. For younger charter clients, one may consider Discoveryland, the Tulsa Zoo and Living Museum, and the Tulsa Air and Space Museum. Finally, if relaxation is in your future, consider Spa Lux, the Tulsa Ballet, or River Parks’ 10 miles of paved walking and biking trails along the scenic Arkansas River. 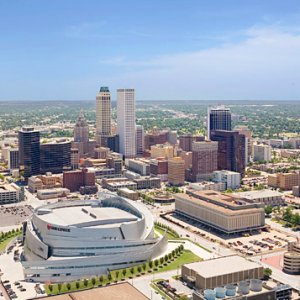 Of course, if your private plane is for business, you likely already know what your plans are, but just in case, we would be remiss if we did not mention that Tulsa has a very diverse economy, centered mostly on advanced enterprises. Indeed, Tulsa’s economy is well-divided among high tech, telecom, aerospace, finance, energy, and manufacturing. Among the companies that make Tulsa home are notables such as, Williams Companies, Quik Trip, and Dollar Thrifty Automotive Group. Other companies with a large presence in Tulsa include Citadel Technologies, Conoco-Phillips, Flight Safety International, LegalShield, Lufthansa, Plymouth Pharmaceuticals, and Xcel Energy, to name a few. As mentioned previously, we believe in hiring the most professional and safe flight crews possible. This ensures that you arrive safe and on time, which we believe is very important to busy executives. In addition, our private jets are the finest luxury aircraft in the world. We back it all up with world-class service, from the time you charter your private jet with any of our expert private air consultants to the time you disembark and begin planning your next charter flight with us. We know that once you book a private jet flight with our team you will become part of the Charter Flight Group family for life. And that is how we want it.